The original railway linking Perth and Inverness, completed in 1863, ran from Aviemore through Grantown and over Dava Moor to Forres. Even after a more direct route from Aviemore to Inverness via Carrbridge was opened in 1898 train services continued to operate to and through Grantown bringing holidaymakers and visitors to the town. In the early 1960’s, when Britain’s railways started to operate at a loss, the Government of the day directed the railways to return to profitability by closing the lesser used parts of the network. One of the first lines in Scotland to be closed as part of this programme was the one between Aviemore and Forres. People could, and did, object to railway closures. Few of these objections were upheld at the subsequent public inquiries but objectors to the Grantown route closure won a recommendation that a train service be continued between Aviemore and Grantown. Unfortunately, the Government was not obliged to follow such recommendations – and didn’t. Train services to the town ceased in October 1965. Even before the track was lifted, a multi agency working group on the future of the Cairngorms (a distant precursor of today’s National Park Authority) had endorsed retention of the line and its development as a tourist attraction. As well as rail closures the 1960s saw the end of steam locomotive operation on the national railway network (British Rail – BR), whose managers made it clear that any such locomotives preserved in working order would not be welcome on BR metals. So, inspired by volunteer enthusiasts’ revival of a number of moribund narrow gauge railways in Wales, rail enthusiasts began to buy and restore locomotives and to look for closed lines on which they could be operated. Thus was born what is now a UK-wide network of over 100 preserved railways. The opportunities to restore such railways arose in a random fashion and only a few arose on lines which could act as transport links and not just working museums and tourist attractions. The Highlands and Islands Development Board tried to develop this concept as a way of keeping a railway to Grantown going but their efforts were sabotaged by BR’s sudden removal of track and bridges south of Grantown. This would also have been the first such project in Scotland. Established enthusiast bodies in Scotland feared that a preserved railway far from the Central Belt would not be viable so they pulled out of the project. The Strathspey Railway was founded by a group who thought otherwise. The Strathspey Railway’s founders shared the vision of a railway between Aviemore and Grantown, but with bridges missing and no track left north of Boat of Garten, restoration of trains to Grantown had to become a very long term ambition. The following decade saw a slow process of building up traffic and skills culminating in the first appointment of full time paid staff in 1987 and creating the conditions which would let the railway tackle the much bigger challenges of going north. In 1988 the railway formally committed itself to extending to Grantown in stages. In the decade commencing in 1992 the first four miles of overgrown trackbed were cleared and drainage repaired, track acquired from various sources and laid and ballasted, a missing bridge over the road in Boat of Garten replaced,and the demolished station at Broomhill rebuilt in replica form to serve as an interim northern terminus. Train services began running to Broomhill in May 2002. During this period, as well as extending north, the railway had also extended south from its temporary separate station at Aviemore (Aviemore Speyside) into the island platform of the BR station. Although a more modest project, this southern extension adds value to the railway as a potential transport link since it allows cross platform interchange of passengers with trains on the national network. 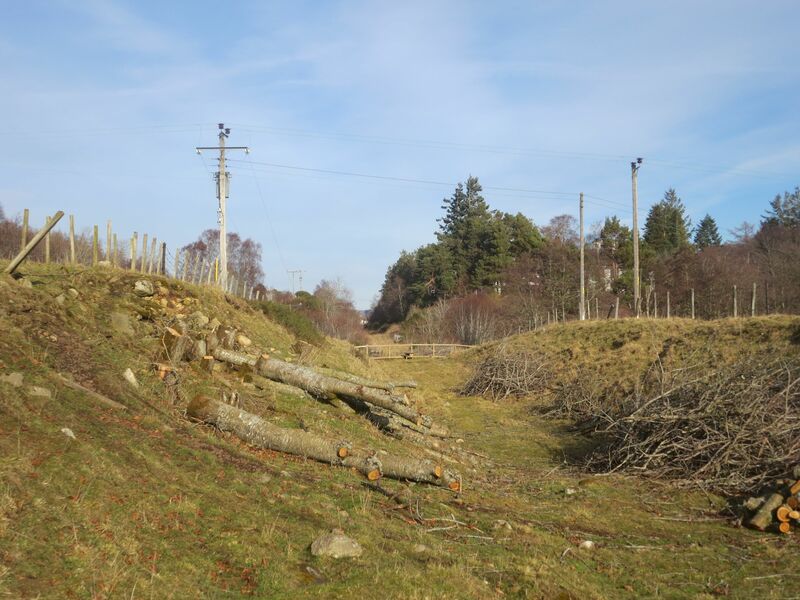 Although the railway secured planning permission for the second phase of restoration all the way to Grantown in 2003, the permission had to be allowed to lapse due to mounting legal and land acquisition problems. 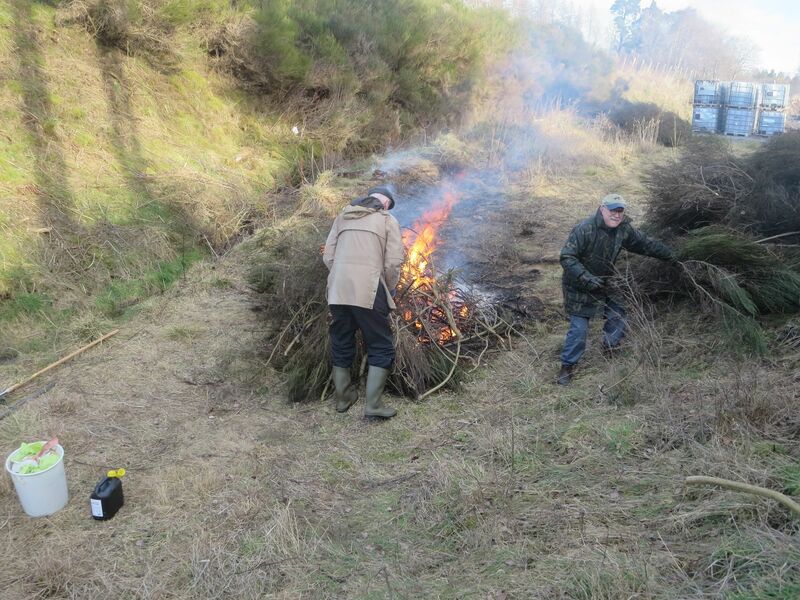 This led to the decision in 2008 to set up a separate but related body, the Strathspey Railway Charitable Trust, to take the project forward so as to let the original Strathspey Railway Company (SRC) concentrate on running and maintaining what by now was a considerable operation. Thus, for example, the railway could concentrate on expanding its engineering facilities and in house skills for engine and carriage restoration and maintenance while the Trust got on with the challenges of developing the line to Grantown.